Tio Juan's Margaritas is a Mexican, Banquet Hall, and Burgers restaurant where most Menuism users came for fun with friends, paid between $10 and $25, and tipped less than 15%. "Best salad I have ever had!!!" A Mexican food lover from FL tried it, liked it, and rated it . They liked the food, liked the service, and liked the ambiance. 1 review of Tio Juan's Margaritas, first by paulsausageshack. I overnighted with my brother in Lebanon, NH and decided to hit the Margaritas across from the hotel. Had the bowl of salsa and nachos on the table. The salsa was more then medium heat. Asked if they had any that was milder, and they stated this is the mildest. I asked if they could make a fresh mild batch and they said they do not do that. I ordered the Guacamole on the side. It was the WORST I have ever had with absolutely NO FLAVOR, nothing. No hint of lime or even cilantro. I asked if this is made here in the restaurant or brought in. Waiter could not answer it. Had the burger with sauteed mushrooms, bacon, loaded. Can’t open the “MENU” file on the web site. I ordered medium cooked, got well cooked burger. Worse tasting guacamole I have ever had. No lime juice used, no cilantro, no flavoring at all. Do NOT order this. I did complain and the waiter stated that this is how Margaritas makes it. I asked if it was shipped in or made fresh here. He could not answer that question. Burger was suppose to come with a side of sauteed mushrooms and onions. Got two SMALL pieces of bacon. Actually, I think they put a 2 inch piece, sliced it length wise, to make it look bigger and like 2 pieces. I asked for medium cooked for the burger and got well cooked instead. Waiter in general was ok. I had asked for sour cream in the beginning of the meal, twice, for the salsa, and didn’t get it till half way through the entree. I will never eat at another Margaritas again. This is the 4th one and there was no improvement. 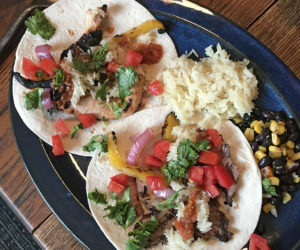 These dishes from the Tio Juan's Margaritas menu are contributed by Menuism users directly, as part of a restaurant review, or as part of a photo upload. Do you own Tio Juan's Margaritas? Contact us to connect with your diners. Tio Juan's Margaritas is located near the cities of West Lebanon and Wilder. People found this by searching for: Margaritas Lebanon Nh Menu, Margaritas Lebanon Menu, Tio Juan Margarita S Restaurant Reviews, Margarita's Lebanon Nh, Juan's Margarita Juice, Margaritas Lebanon Nh, and Margaritas And Lebanon.